Written by Professor G. Richard Shell, Bargaining for Advantage: Negotiation Strategies for Reasonable People is a top selling negotiation book. As a professor at Wharton School of Business, the book explains the top negotiation strategies used in business. 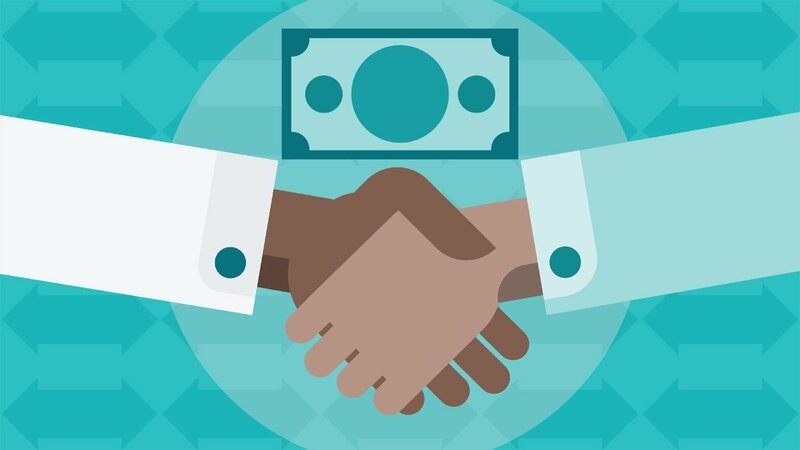 For business owners, a smart negotiation can create more sales and revenues. It can also lower costs, improve delivery time and create new opportunities. In this post, we’ll cover some of the key points from Bargaining for Advantage. You don’t have to get the Bargaining for Advantage PDF download to learn our favorite negotiation strategies. Most people think negotiations begin and end at the office. In actuality, business owners are negotiating all the time. They have to deal with with negotiations for buying a car, insurance and a house. But, they also negotiate with with their families, friends and acquaintances. What color couch to buy? What gelato flavors to order? Who’s going to stay up late? Of course, they have to negotiate at work with employees and stakeholders too. But, negotiation should not be viewed soley as a business transaction. You are constantly selling yourself and negotiating in all areas of your life. Thus, the art of negotiation is an important skill to learn early on. Before entering a negotiation, set realistic goals and expectations. The majority of the work that goes into a negotiation requires preparation. If you are readily prepared for a negotiation, you are much more likely to get what you desire. To prepare, decide on what it is that you want. Be specific, including numbers, dates or other measurable attributes. By creating goals for your negotiation, you will have clarity about what you are really willing to compromise on. Entering a negotiation, be ready to listen first. After preparing your data and information, it is easy to go into a negotiation red hot, and armed. However, start your negotiation by listening carefully to the other side. You are much more likely to learn about what the other party would like most. This will give you much needed leverage and flexibility when it comes to time to speak. In the best case scenario, you will learn something new that helps your negotiation go very smoothly. But, this can only be done by listening to the other party. After understanding the other party, now is the best time to present your information. Here is your opportunity to share authoritative data and information that sets standards of the negotiation. This can include industry data or trends from a trusted working bulge bracket bank. Offer information that you might assume to be obvious. It is positive to have a number of points that you can agree on. Then, be sure to talk about what matters to you most and options that you have varying priorities for. Of course, a difference in value creates the chance for trade, alternatives or more options. When presenting your information, put everything on the table with your realistic target. Finally, when both parties have weighed their options, it’s time to make a commitment. The closing of the negotiation should be done ethically. It should include compromise and a positive long term relationship. If you need another round of negotiations for verification vs validation, take the time needed for both parties to explore all options. When both sides have come to the best terms, it is time to close. Then, commitments are made and the deal is done. In a good negotiation, neither side loses their ethics or gives up “too much” in the commitment. Certainly, Bargaining for Advantage gives you an in depth approach to negotiating. We have covered some of our favorite tips. These include negotiating in all aspects of life, preparing diligently and listening carefully to the other party. Moreover, develop your bargaining style by practicing frequently. As a result, you will find advantage in your bargaining and negotiations.